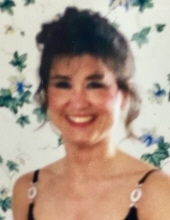 Kathy Marie Hartley, 58, of Lapeer, died Thursday March 21, 2019. She was born July 3, 1960 in Detroit to parents James and Patricia (Lusin) Byrne. She married Mark A. Hartley on December 15, 1990 in St. Clair Shores. Mrs. Hartley was a great cook and had a love for animals. She loved to sew; specifically quilts and made some lovely Daisy Kingdom dresses for her daughters. Kathy was a person who put everyone else first; she was considered very friendly and overall kind. Above so many things, she loved spending time with her daughters and grandchildren. She will be missed. Kathy is survived by her husband: Mark A. Hartley, daughters: Marissa (Aaron Garris) Hartley of Lapeer; Gabby Hartley of Lapeer, her mother: Patricia Allen, step-children: Becky; Ruth; Lisa; Richie; James; Mark, Jr.; Sara & Rachel, grandchildren: Elias; Roman & Jolene, several step-grandchildren as well as brother: Kevin (Kathy) Byrne of Ada. She was preceded in death by her father: James Byrne and grandmother: Edna Lusin. Mrs. Hartley’s family has entrusted Muir Brothers Funeral Home, Lapeer with cremation. The family has scheduled a Celebration of Kathy's Life; 2:00-(?) Wednesday March 27, 2019 at the Fraternal Order of the Eagles, 3565 Davison Rd, Lapeer. "Email Address" would like to share the life celebration of Kathy Marie Hartley. Click on the "link" to go to share a favorite memory or leave a condolence message for the family.